Using Twooth® Timer twice a day Helps your kids fight tooth decay! The Twooth Timer is an award winning 2 minute timer to ensure that your children are brushing their teeth for the recommended amount of time! 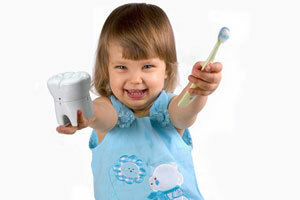 Easy to use tooth brushing timer for kids and adults! Simply turn the top to the ‘2’ and begin brushing. Stop brushing when the bell rings after two minutes. As seen in leading magazines, newspapers and on TV!